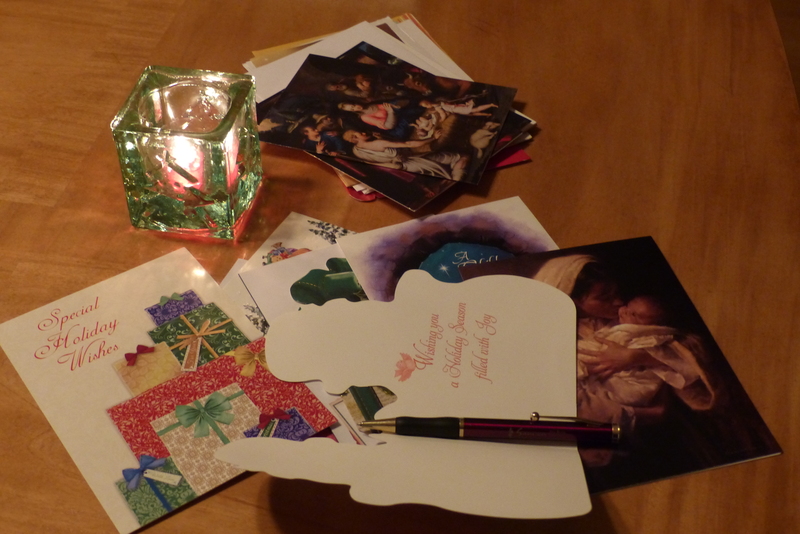 This entry was posted in contemplative living and tagged Christmas letters, dreading the mail in December, having versus being, holiday letters, honesty in holiday greetings, insufferable holiday letters, W.H. Davies, Yves Congar. Bookmark the permalink. Thank you for this meaningful and timely blog post, Judy! You have articulated so well the thoughts and feelings I often have after receiving some Christmas letters. Yes, the Christmas season is about celebrating the birth of our poor humble Savior in a stable. It’s about being versus having. Happy Advent and Merry Christmas!! So glad this resonated with you! I join you in remembering that this season is about One who was poor and humble. Happy Advent and Merry Christmas to you, too! Beautifully written – thank you for bringing back the true meaning of what Advent and Christmas means. I love this article, Judy. Even before the onset of social media, I used to get depressed every time I got one of those letters bursting with detailed descriptions of wonderful vacations, accomplishments, and other highlights from people’s lives. Thankfully, I haven’t received one of those in quite a while. And another thing I’m thankful for is your kindness in keeping tabs on me as I’m living through one of the most challenging periods in my life. You’re a very special person and I’m blessed to know you. You are blessed, Kim, not to have received “one of those” in a while! If I see one that, based on past experience, is likely to be difficult to digest, I sometimes set it aside to peruse after the holidays. That said, I am blessed to know you as well and to receive the kind of affirmation and support from you reflected in comments like this one. Thank you! I have also received Christmas letters detailing major purchases and life events, often from people who I don’t know very well. This year, I noticed that instead of holiday cards that evoked a Christmas or winter scene with a handwritten message, many cards were collages of family vacation photos, soccer tournaments, and recitals, with an embossed signature. Oversharing is extending from social media to holiday mail. Good observations, Josie. I, too, have noticed photo collages replacing cards that once reflected the holidays we celebrate. It seems it’s no longer “Merry Christmas,” but “Look at this” or “Look at us.” Thanks for sharing your thoughts.